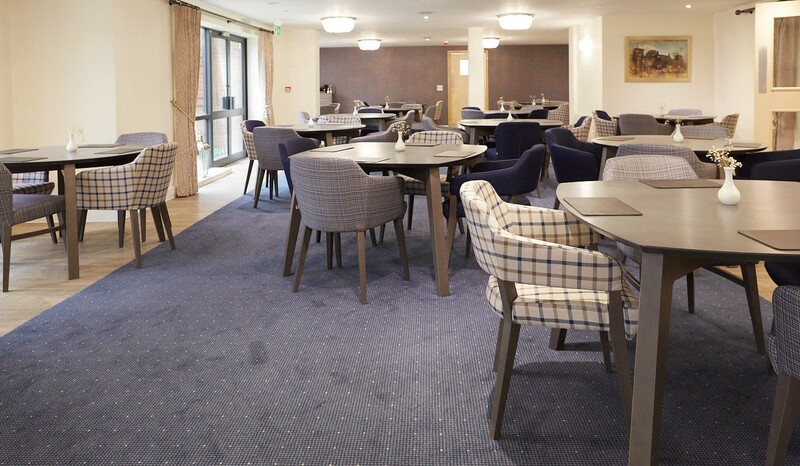 Knightsbridge have been recently selected to supply furniture at a new Care Home build scheme. Items from the Knightsbridge portfolio were selected to furnish the reception, lounge and dining areas, this included a selection of Lucia Upright Chairs with co-ordinating GoGo Quartic Dining Tables for the dining areas with a stylish black ash finish. A mixture of Chesterfield seating, Bugatti Easy seating and Jenny Mid and High Back soft seating were chosen for the lounge areas upholstered in luxurious prints and velvets.